From Easter eggs to Easter baskets, there’s a lot of fun to be had to prepare for and celebrating the Easter holiday. With a little planning ahead, people who have food allergies can also enjoy the Easter celebrations and traditions. 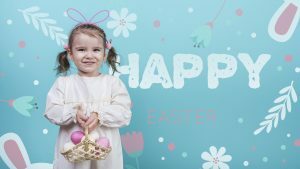 For children, it’s an especially happy springtime holiday filled with beautiful spring flowers, Easter egg hunts, and maybe even a visit from the Easter bunny! For children with food allergies, it’s a bit more complicated but parents can be involved in planning any school activities or crafts to ensure their children can join in the fun and not be given foods that they cannot safely eat.